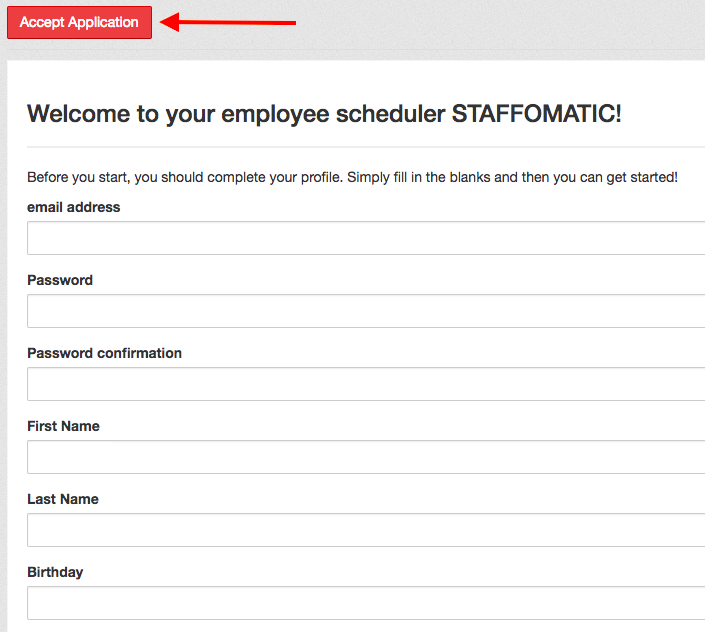 Your employer or manager creates a profile with your email address in the company’s STAFFOMATIC - account. 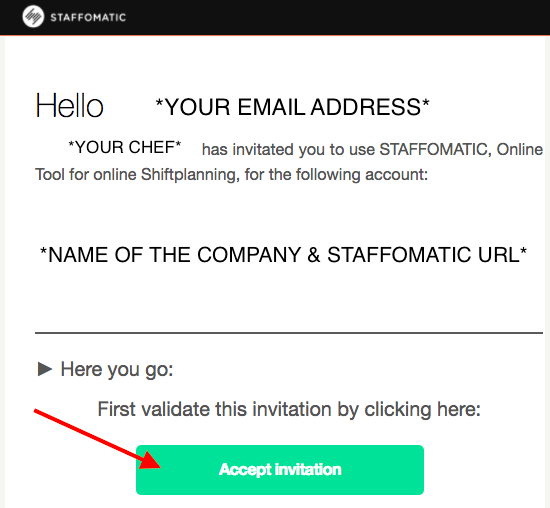 Now you will receive an invitation email from STAFFOMATIC. In the email click on “accept invitation” in order to get access to the account. Please note: if you have been waiting for your invitation email for some time, please remember to check your spam folder or contact your employer to resend the email. You will directly be transferred to the account. Here you can see your assignments as well as messages from the admin or manager. You can apply for shifts or request a shift swap.